WE’RE in a world where the every move of celebrity couples is documented, photographed, analysed and commented on. If it’s not paparazzi patrolling, it’s the stars themselves sharing every tiny detail on social media. 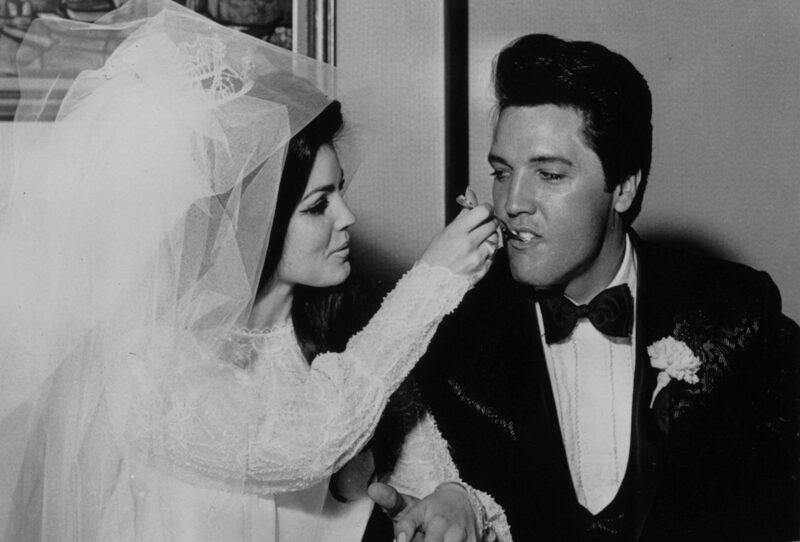 As one half of one of the most famous, pictured and pursued celebrity couples ever, Priscilla Presley says Elvis would have hated today’s 24-hour goldfish bowl. And speaking exclusively to iN10, Elvis’ ex-wife Priscilla has told of her surprisingly quiet life behind closed doors with the King. “He wouldn’t have done well today, that’s for sure,” said Priscilla, 71. “I couldn’t ever see him Twittering or telling people on social media what he was doing or eating. He was a very, very private person and he guarded that because our life together could be madness. “He couldn’t go and do or see things like normal people; going out was just too difficult because he’d always attract a crowd. “If you stopped for one person you’d have to stop for all of them and if there was a group of them, it was really hard to enjoy the evening. His Memphis mansion, Graceland, was, she says, his “sanctuary”, the place he’d find some peace amidst the mayhem and madness. “It was where he’d always go back to after making a movie, or a tour or Vegas,” confides Priscilla. Priscilla was just 14 when she first met Elvis at a party in Germany in 1959 during his Army days. They finally wed in 1967 and were together for six whirlwind years, staying close and even leaving the courtroom hand in hand after their divorce in 1973. After Elvis’s death in 1977, Graceland and his estate faced a perilous future. But Priscilla’s shrewd business brain helped save it, something she admits is a source of pride. “Elvis wanted to keep Graceland always so thank God we were able to do that. “We have a new hotel opening on October 27 which we’re very proud of. Now fans can come and really enjoy the surroundings which we couldn’t do previously. “I still go back three or four times every year. It was a special place when I lived there as a young girl. Elvis’s music has lived on after his death, more recently thanks to new albums and innovative stage shows. Last year’s If I Can Dream: Elvis Presley With The Royal Philharmonic Orchestra was a UK and global chart-topper, selling over 1.5 million copies. A follow-up, The Wonder Of You, is out this month with that distinctive voice re-mastered and given a new orchestral accompaniment. Fans will be able to experience it in person with a UK arena tour that has Elvis on giant screens accompanied by the Royal Philharmonic Concert Orchestra and with special appearances by Priscilla. “I’ll introduce the songs and explain why we chose them,” explains Priscilla, who says she still feels guided by Elvis’s spirit. “I think the audience will be really happy with the song choices from the two albums. There’s a mix of upbeat numbers and ones that meant a lot to Elvis. “Doing the first album was a risk, mixing Elvis’s rock and roll with an orchestra, but it’s keeping up with the times and that’s something he always wanted to do. When it comes to Elvis’s songs, Priscilla has her own favourites for very personal reasons. “The one that means the most to me is the Hawaiian Wedding Song. The tour opens at the SSE Hydro in Glasgow on November 17, before dates in Leeds, Cardiff, Birmingham, London and Manchester. Elvis, famously, set foot on British soil at Prestwick in March 1960 during a refuelling stop for his Army transport plane. “He did speak about it as being the only time he was really in the UK,” said Priscilla. “I’ve never been to Scotland and I’m really looking forward to it. I hear you guys know how to have a lot of fun. “I’ve got close friends in the music business in Scotland and I’m a big fan of haggis. Following their split, Priscilla forged a successful acting and presenting career. As an animal lover, co-hosting Those Amazing Animals was a perfect match and she went on to make memorable appearances in The Naked Gun movies and then playing Jenna Wade in Dallas. “Those Amazing Animals was really my start in showbusiness but it had never really been part of my plan,” confides Priscilla. “It happened pretty much by accident. And Dallas, which was my first big acting job, was an amazing five years for me. I don’t know that there has ever been as big a phenomena of a show since. “The night it was on people would have friends round for parties. I was a fan before I joined so it was a bit weird walking on to the set for the first time. “Larry Hagman, who played JR, was bigger than life. He was very protective towards me and a real mentor. Priscilla has used her high profile for a host of charitable and humanitarian causes. She’s been an ambassador of the Dream Foundation, which makes the last wishes of terminally ill patients come true, for almost 20 years. She admits it’s both moving and life-affirming. “It’s taught me to enjoy every minute that we can. “These people who are terminally ill and know they only have so much time to live ask for the simplest things. Priscilla keeps in shape with 90-minute yoga sessions three times-a-week and grows her own vegetables in the garden of the Beverly Hills home where she raised children Lisa Marie and Navarone. Elvis visited it after their split and she says it reminds her of him. But having lived in the spotlight, and indeed the shadow of a musical icon, would Priscilla ever have chosen not to have met Elvis that night and led a very different life?